THIS year’s NAF Five Star Winter Dressage Championships was a huge success with a host of stunning performances from leading names in the sport. Horse & Country TV will showcase the two gala evenings, which premier on demand on Saturday and Sunday, April 13 and 14 to subscribers of H&C web and mobile apps. Without doubt this year’s championships was one of the best ever with world class riders travelling to Hartpury Arena in Gloucestershire to compete. The two Horse & Country TV highlight programmes feature the Friday evening Magic Prix St Georges Freestyle Gold Championship and the Saturday gala class, the Superflex Inter I Freestyle Gold title. These hour long premieres will have dressage fans glued to the channel as they bring to life what proved to be two fantastic competitions. Without wanting to give too much away the Magic Prix St Georges Freestyle Gold Championship proved a huge success for relative outsiders Katie Bailey and Eagle Nouvelle who swept to a narrow victory much to the crowd’s delight. Popular guest commentator Isobel Wessells was thrilled to open the night with a super test! Viewers will see local rider Katie and the 10-year-old Eagle Nouvelle debut an ethereal freestyle by maestro Tom Hunt set to James Newton Howards’ scores from Peter Pan and Maleficent. A huge extended walk shows outstanding suppleness over the back, the flying changes are straight, active and expressive and in trot the horse shows much ability for the future. “I was hoping for a top three but never expected this. I’m a bit speechless but thrilled to pip the others!” she says. In an action packed night at the final Gala Performance of this year’s NAF Five Star Winter Championship viewers will witness plenty of drama, inspiring performances and a touch of artistry. 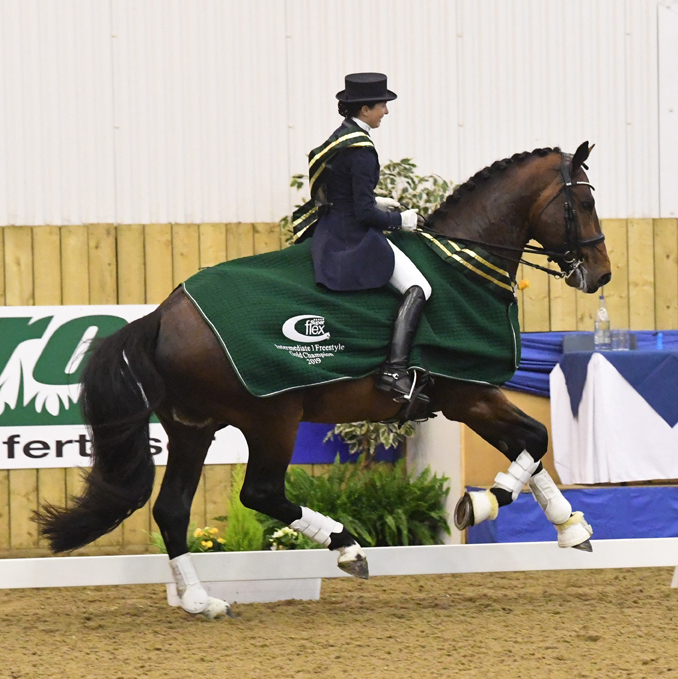 Newmarket rider Nikki Barker took the Superflex Inter I Freestyle Gold title. Riding her own and Viv Gleave’s stunning Spielberg sired stallion Durable, Nikki had a mishap with her music when first entering the arena but head judge at C, Claudia Thaller, gave her permission to come back at the end of the class, in the best interests of the sport. In her first effort, as Nikki raised her hand to signal the start of the music, it was evident that something was amiss as it was an old freestyle of hers. In a remarkable feat of horsemanship, Nikki returned to the arena after a one-hour hiatus following the earlier music issue. All eyes were on Durable, an imposing bay stallion who is simply too handsome for words. Riding to their fascinating Kill Bill soundtrack, a compilation by Ros Emery-Kay, the trot work is oh-so elastic and powerful. The half passes devoured the ground. 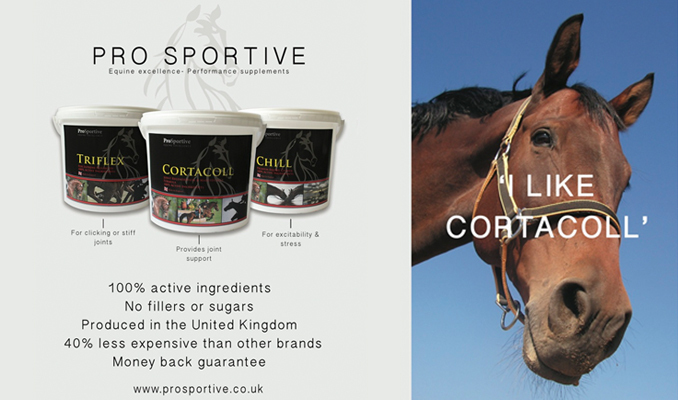 The canter is powerful and expressive through all movements, yet with control and excellent placement of the pirouettes. Extended trot on the diagonal to the centre line concludes their performance to rapturous applause from the knowledgeable crowd.